Prior to February 2015, probation and rehabilitation services were provided throughout the UK by 35 individual Probation Trusts. As part of the Ministry of Justice’s Transforming Rehabilitation (TR) Programme these were replaced with a single National Probation Service responsible for the management of high-risk offenders and 21 Community Rehabilitation Companies (CRCs) responsible for the management of low to medium risk offenders in 21 areas across England and Wales. The CRCs have responsibility for supervising short-sentence prisoners (those sentenced to less than 12 months in prison) after release. Under the name Purple Futures, 3SC has partnered with Interserve, P3, and Shelter to provide probation and rehabilitation services on behalf of the Ministry of Justice in 5 areas of the UK: Merseyside; Cheshire and Greater Manchester; West Yorkshire, Humberside, Lincolnshire and North Yorkshire; and Hampshire and the Isle of Wight. 3SC is responsible for working in partnership with the CRCs in these 5 areas to build and contract manage a comprehensive supply chain of VCSE organisations who deliver offender facing services that reduce re-offending. The organisations in the supply chain range from large national partners to small highly specialised niche local providers. Some of these are community based and other, Through the Gate (TTG) services, are delivered within prisons. 3SC’s supply chain management service involves the management of the performance, compliance and quality of all these services to ensure that offenders have access to appropriate, high quality services that met their needs, as and when and where they need them. As part of this service the regional 3SC Teams are responsible for building and maintaining a comprehensive, localised and appropriate Directory of Service (DoS) for each CRC to enable the Offender Manager to select an appropriate programme of support for the offender. The DoS is a comprehensive database of: CRC contracted services; externally funded services delivered within the community; CRC internally delivered services; and community payback services. 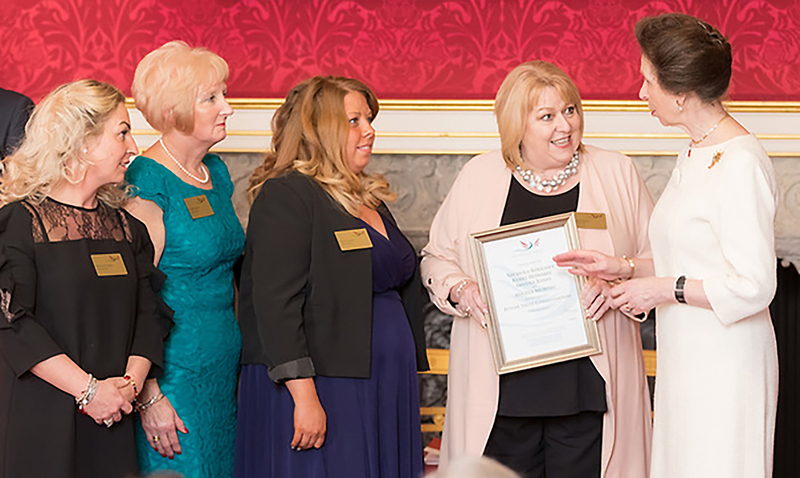 Our Delivery Organisation Tomorrow’s Women Wirral meeting Princess Anne after winning a commendation from the Butler Trust.